Over the course of 7 albums Naevus have been steadfastly and quietly building an impressive repertoire of songs. With a sound centred around acoustic guitar and Lloyd James’s soft-sung and perfectly delineated voice, furnished with keyboard, accordion, electric guitar and solid bass, Naevus have often found themselves bracketed as part of the dark folk genre. This association is largely due to the prominent role of the acoustic guitar and Lloyd’s assured deadpan vocal style. 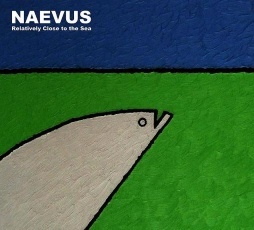 Even though the acoustic based tracks of their earlier releases elicited favourable comparisons with Swans and Death In June it appears with each subsequent release Naevus have been continually expanding their acoustic sound into a more minimal abstract sound incorporating post-punk, experimental and shoegaze elements. 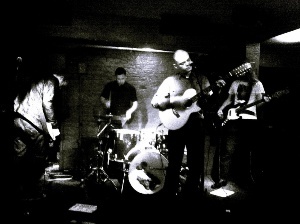 Their most recent albums Relatively Close To The Sea and The Division of Labour have been significant highpoints in the 14 year history of the group. Relatively Close To The Sea included such delights as the streamlined rock sound of ‘Meat On Meat’, the alluring folk-pop of ‘Traffic Island’ and the impressive expansive ‘Go Grow’ that took Naevus into progressive rock territory. 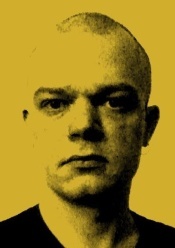 The Division of Labour, meanwhile, ranges from the layered guitars of ‘Man In A Ditch’, to the surging urgency of ‘Beat Bleep’ via the ringing and soaring shoegaze of ‘The Stomach’ to the minimal ‘Song In Suspension’ on an album that to these ears at least is far more ambitious than previous releases with its electronic, drone based and experimental touches. Both albums, like many of their previous releases, also featured short, direct songs such as ‘Dented Mess’ and ‘Idiots (Let Me In)’ fuelled by an obvious post-punk approach. In interviews Lloyd James has touched on his love of Wire, Joy Division (as referenced on ‘Bleat Bleep’) and Magazine. Magazine and in particular Luxuria, a later project of Howard Devoto, have been singled out as prime influence on the lyrics of Naevus. Perhaps the defining mark of Naevus can be found in their distinctive abstract lyrics. Lloyd James’s writes cryptic lyrics of urban realism, fractured perception and obtuse personal introspection. Other times he pens narrative based lyrics, like ‘The German’, a cautionary tale for outsiders, and ‘Making Hay’ that speaks of the drudgery of work and a need to make art. Other tracks while highly literate are far more oblique but still worth hearing. Naevus albums have boasted contributions from an impressive list of post-industrial luminaries including Karl Blake, Rose McDowall, John Murphy, Matt Howden and David E. Williams. Outside of Naevus, Lloyd James has sung for Knifeladder, Kirlian Camera, Jerome Deppe, Albireon…. Occasionally Lloyd can be found manning the drum stool for Sol Invictus and Rose McDowall. He’s also a member of the experimental project Lark Blames with Marc Blackie (of Sleeping Pictures), releasing two albums, Chimney and The Reins of Life, on Old Europa Café. As a solo artist he released Enquiries a solo experimental album under the name Retarder on the US based label Tourette Records. Another collaborative project Man Eat Man Eat Man are currently completing their debut release. Naevus, meanwhile, have regrouped with a new line-up featuring Hunter Barr (drums), Ben McLees (guitar) and Arthur Shaw (bass). They’ve already undertaken a series of low-key shows with recording sessions currently underway. I’ve long enjoyed the work of Naevus but felt prior interviews with Naevus have never really captured the essence of the group. Following the release of The Division of Labour, the first Naevus album released since the demise of the former Naevus line-up featuring Joanne Owen and Greg Ferrari who performed a major role in previous Naevus recordings, we caught up with Lloyd James to help shine a light and bring a broader appreciation to the work of Naevus. 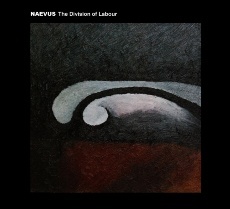 The latest Naevus album, The Division of Labour, is largely a solo-recording, what happened to the line-up? During 2010, there were a number of changes in the personal circumstances of the band members which meant that, in the short term, it was not possible to sustain a full band line-up Naevus. I continued with the recording of The Division of Labour and did some gigs in Europe (some as a solo performer, some as a duo with Edel Braun), then towards the end of 2011 set about reactivating Naevus with a full band line-up. How did the difference in group structure affect the recording of The Division of Labour? You didn’t think of releasing this as a solo-album or under a different name? I started work on the songs the make up The Division of Labour as far back as 2009. Some were intended for a Retarder release, some were intended for a seventh Naevus album, and some were solo versions of tracks I had worked on with other projects. All of these recordings were being worked on by me alone, and after a while it became clear that they were forming a coherent album. I had considered releasing them as a ‘Lloyd James solo album’, but when I began to mix the tracks they sounded like Naevus. Releasing the album as Naevus seemed the only sensible thing to do, as the approach to the writing and recording of was much more in keeping with the early Naevus recordings. As soon as I began to think of The Division of Labour as a Naevus album, it became clear to me that it was the best one I’ve made so far, and the one most closely aligned with the idea of Naevus that I had when the project began. Compared to other Naevus releases The Division of Labour is more diverse including experimental touches and more electronic based tracks. Was this a direct result of it now being as solo-project? If so, did you ever feel limited or compromised within the confines of a group? I don’t think The Division of Labour album is any more electronic than the preceding four albums, and it’s certainly much less electronic than the first two Naevus albums, Truffles of Love and Soil. However, the electronic elements in the album are partly a result of having previously performed them live as Retarder. After the release of the first Retarder album in 2009, I did a few concerts as Retarder to help promote it. As most of the Retarder album was not really suited to live performance, I devised my own arrangements of songs that I had written with other projects that would be suitable. ‘Man in a Ditch’ and ‘Hobo Placing’ were written in collaboration with the French electronic duo Propergol Y Colargol, and ‘Donkey’s Trough’ was written with Mushroom’s Patience. I developed versions that were based over a minimal loop or drone and these versions formed the basis of the versions that appear onThe Division of Labour. Apart from this, I wanted one track on the album to feature drum machine rather than real drums, as a nod to the origins of the band, where most of the instrumentation was programmed. So ‘Song in Suspension’ makes use of some 808 drum sounds and synthetic timpani. Do you envisage Naevus ever becoming a group again? Naevus is a group again; even before the recording of The Division of Labour had been completed, a new band line-up was established. Hunter Barr had his first drumming stint in Naevus in 2003 (as heard on the EP The Body Speaks), returning in 2009; Ben McLees was guitarist for Naevus for a series of concerts in 2008 and rejoined at the end of 2011; and Arthur Shaw joined as bass player in 2011, having previously played keyboards on the album Relatively Close to the Sea. The current line-up has so far undertaken a few low-key gigs in London but we have some ‘proper’ gigs coming up, starting with The Underworld in Camden on 3rd November, followed by a short tour of Italy, and some European festivals in 2013. We’ve also worked on some new recordings, which will see the light of day in the not-too-distant future. What were the aims of the group when you first formed Naevus and how have they changed? As far as I am concerned, the aims are the same; I try to make the songs that I want to hear, about the things that interest me. When I was working on the first Naevus album, Truffles of Love, in 1998-1999, I was determined to make the music I felt was missing from the world at the time, and also to make songs that had lyrics that were interesting or useful and that stood up to scrutiny. Rather than looking to the bands that were around me for influences, I turned instead to music from the past that I considered great work (Magazine, early Roxy Music, various others) and tried to position myself in a kind of lineage, taking influence from intentions and attitudes rather than sounds. I had a great sense of freedom in making that album, and I have done my best to preserve it since. To return to the new album, ‘Making Hay’ seems to speak of the drudgery of work and craving for art. Does it and is it at all autobiographical? Well, that’s life, isn’t it? I know very few people who are able to make a living doing something which they enjoy or which truly matches their abilities. In that sense the song is entirely autobiographical, although the words have put into allegorical, ‘oldey-worldy’ terms, to convey that fact that it’s nothing new – it’s an old story, and it will go on. I don’t deliberately set out to write songs that are autobiographical. That seems to me to be a little indulgent. Personal experience creeps in naturally, but my aim is always to do more than simply reflect my own experiences. There’s a sense of dissatisfaction and frustration that runs throughout the tracks ‘Idiots (Let Me In)’ and ‘Song In Suspension’? What accounts for this dissatisfaction and frustration? At the time of writing the songs, I was not aware of any particular sense of frustration and dissatisfaction, but looking back at them I can see that that theme comes across fairly strongly. ‘Idiots (Let Me In)’ deals with the sense of irritation with the world at large that we all feel from time to time, but this is hopefully brought into perspective by the final line of the song, which is intended to convey that venting such frustration is ultimately pointless. ‘Song in Suspension’ was originally written as a commission for John Murphy’s Shining Vril project; he asked me to write some lyrics for him that dealt with the idea of suspension, of being stuck in a nowhere-land, between situations. I’m not sure where some of the imagery comes from, but I imagined John’s voice singing the song rather than mine, so that probably has something to do with it. What prompted you to include ‘Chalk is Valuable, Keep it in Your Hand’ that previously appeared on the Retarder album, Enquiries? I did some solo performances as Retarder in 2009-10 and want to include ‘Chalk is Valuable, Keep it in Your Hand’ in the sets as it was the first Retarder song. However, the original arrangement for drum machine and bass guitar would have been impossible to perform live, so I worked out a version for acoustic guitar only. I was very pleased with how the new version turned out and wanted to release a studio recording of it, and it seemed to fit perfectly onto the end of The Division of Labour, as a kind of summary. It was recorded in one take, with one microphone and no overdubs, and I felt it was a pure expression of what I have been trying to achieve with my songs for a long time; simple, minimalistic, awkward, intimate, surprising and emotive, all at the same time. I’m not sure that all listeners will agree with that assessment, but that’s how it seems to me. Naevus have released 7 albums. The first two albums Truffles of Love and Soil have been reissued recently. How do you feel about the early Naevus albums? At what point do you think Naevus became fully formed? To be honest, I’m really not sure. At one point, I felt that Naevus didn’t become fully-formed until Behaviour in 2002, but looking back now I find the original intention of Naevus to be clearly expressed on the very earliest recordings, even if production of the sound is not always sufficiently developed. Songs such as ‘The Mouth Song’ are a clear expression of what I always wanted to do with Naevus, even if the musical style and the sounds used are a long way from how I do things now. With the reissues of Truffles of Love and Soil by Old Europa Café, the opportunity to include bonus tracks enabled me to quite neatly collect all of the recordings from the first phase of Naevus, when we still used drum machine. I’m very pleased with how those reissues turned out. Naevus are often regarded as being part of the neo-folk / dark-folk genre yet your music doesn’t seem concerned with Europe or carry occultural or magickal themes. Why do you think Naevus are considered as part of the genre? What are your thoughts on the genre? I think Naevus has been considered as part of that genre for a number of reasons, but the primary one is probably that we make use of acoustic guitar and I have a fairly low, deadpan voice. Over the years we’ve received more comparisons to Swans than to Death in June, though. I have no problem with being considered part of the neo-folk genre, since some of the acts to be found in it have a sound that I like very much. It is true that yearning for some mythical lost Europe has no interest for me and I really can’t take ‘magickal’ themes particularly seriously. But I do enjoy the music of some of the bands that employ these themes. With each album featuring a number of short, sharp songs with a punk or post-punk feel, what role does punk or post-punk play in Naevus? The post-punk era has undoubtedly been a bigger influence on me than any other era. The records I’ve listened to most in my life are things such as Metal Box by PiL, Three Imaginary Boys by The Cure, Secondhand Daylight by Magazine, Hee Haw by the Birthday Party, etc. Even though I was born about 12 years too late to be listening to this music at the time of its release, it’s the music that really captured my imagination when I was a teenager. I don’t try and imitate or even emulate the sounds of those bands, as there is no point repeating what has gone before, but the influence of post-punk is deeply engrained in me and certainly manifests itself in some way on each album. The attitude of the post-punk era has had more influence on me than the sound. 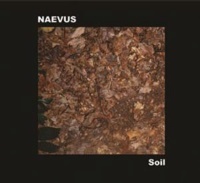 The lyrical themes of Naevus albums are both personal and quite abstract. How important are the lyrics to Naevus? How do you come up with them? What do you hope to convey? To me, the lyrics are the most important element of the songs. Generally, the words are written first and the music is devised as a supporting structure. But then the process of creating a finished, listenable product takes over. In 2008, I self-published a Naevus lyric book, entitled Slopped Down from Eden, which contains all of the Naevus song lyrics from the period 1998-2008. I recently discovered another box of copies of this book, so it’s still available and will be on sale at upcoming concerts. A number of Naevus tracks, like ‘The German’, ‘Making Hay’, and ‘Shown’ are written like little narratives. Outside of writing lyrics for Naevus do you do any other writing? Like everyone else, I have bits and pieces of a novel that needs finishing. I intend to get around to finishing it one day, but I think it’s highly unlikely that it would ever be published. My style of prose writing is probably very out of kilter with current tastes. Who or what would you consider as prime influences on the lyrics and sound of Naevus? The prime influence on my lyric writing must be Howard Devoto. He took pop-and-rock lyric writing to a level that hadn’t really been achieved or attempted before, with the exceptions of Bob Dylan and Leonard Cohen at their best. In terms of sound, it’s more difficult to pinpoint a prime influence, but if I had to do so, it would probably be Cranes. I saw them live recently, performing a lot of their earlier material, and I was quite taken aback by just how much I must have been influenced by their sound. I hadn’t really listened to them for quite a few years, so it was strange to hear in their sound echoes of what I had been aiming at with Naevus. Bodily functions and meat seem to be recurring features in the lyrics of Naevus (‘Food’s Journey’, ‘Afters’, ‘Meat On Meat’, ‘The Stomach’). What do they mean to you? 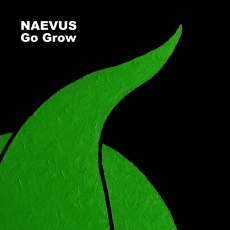 ‘Go Grow’ seems a pivotal track in the history of Naevus, could you tell us about this? It’s a lot more expansive that other Naevus material, do you agree? ‘Go Grow’ was a project I set for myself. I wanted to see whether I could write a song that was the length of one side of a vinyl LP yet didn’t betray the style of Naevus (i.e., didn’t resort to superfluous soloing). The structure and arrangement of the song was devised in an Excel spreadsheet; I tried to get some kind of visual harmony or symmetry in the blocks in the spreadsheet and then translated them to instruments when putting together the arrangement of the song. I’m pleased with how the track turned out, but I must admit that the shorter version that was released as a 7″ single is a little easier to listen to. Although based in the UK, the majority of Naevus releases have been released on central European based labels. How much interest is there in Naevus from the UK and how much from Europe? If there is a difference, how would you account for it? There is not a great amount of interest in Naevus in the UK as far as I can tell. For example, we have never had any interest whatsoever from a UK label, but lots from various European labels. I don’t know why this is, but Britain does seem to suffer from musical apathy, at least as far as my music is concerned. But that’s fine by me – having more interest from other countries means that I get to travel in Europe for more than I would otherwise. Naevus albums have appeared on numerous labels but the last three albums have been released by Hau Ruck. How did you hook up with them and what’s your relationship with them like? I wrote to Hau Ruck! in 2003, after the release of Behaviour, to see if they would be interested in releasing a single or EP. As it happened, Albin at Hau Ruck! had recently heard the Naevus contribution to an Ain Soph tribute album and was very impressed with it, and agreed to release the Sail Away 7″. Since then, we’ve had a fruitful relationship; three albums and a number of vinyl EPs. Naevus have covered songs from a broad range of artists including Tom Waits, Scott Walker, The Monkees, Laibach, Sol Invictus, David E. Williams… What music do you listen to? I listen to quite a wide range of music, so it’s hard to answer this without giving a very long list. In recent weeks I’ve been listening to Momus’s Bibliotek, Can’s The Lost Tapes, various Wire albums, Dome, Magazine’s No Thyself, Syd Barrett and early Eno. Previous Naevus albums and tracks have featured formidable musicians such as John Murphy, Karl Blake, Matt Howden and Rose McDowall. How did you enlist their involvement? Were you fans of their work? For all of those four people, I was a fan before I met them. I got to know them through meeting them at gigs or through mutual acquaintances. Three of them are still good friends of mine and I hope to work with them again in future. Many of the musicians you work with such as John Murphy, Hunter Barr (KnifeLadder), Marc Blackie (Sleeping Pictures), Arthur Shaw (Cutty Sark), Ben McLees (SonVer) are all, or have been, London based musicians. What draws you together? Does it or did it ever constitute a scene? I don’t think that there is a scene as such, it’s more to do with the fact we’re based in London and play in each others’ bands. These people are friends of mine and enjoy making music, which means that I can enjoy making music with them. If given a choice, who would be the ideal Naevus collaborator? And is there anyone you would like to see cover a song of yours? The ideal Naevus collaborator, outside of those people with whom I am currently working anyway, would be someone in the role of producer rather than musician, perhaps someone like Mike Hedges, who did some great work in the early 1980s. I like the textures that he achieves and it would a welcome relief to hand over the reins of production for a while. Jerome Deppe recently recorded a very good cover version of ‘Kill Your Friends’, which can be found on his excellent Songs of Love, Hate and Fear album. As for who else I would like to see cover a Naevus song, for some reason I can imagine Morrissey doing a good job of it, although I’m sure he wouldn’t approve of Naevus – too many songs about meat. Outside of Naevus you’ve guested and performed with a number of artists. Could you tell us about these? What do you get from collaborating? I’ve recorded guest vocals for a number of acts, including Kirlian Camera, David E. Williams, KnifeLadder, Andrew King, Sieben, Mushroom’s Patience, Jerome Deppe, Cutty Sark, Propergol Y Colargol, Albireon, Thomas Nöla & the Black Hole and Der Blutharsch & the Infinite Church of the Leading Hand. Besides this, I’ve produced recordings by a number of acts, including Shining Vril, Sleeping Pictures, Rose McDowall and Duo Noir, and I produced a remix for Der Blutharsch. As for live work, I’ve variously been a member of or guested with Sleeping Pictures, Sorrow/Rose McDowall, SonVer, Sieben, Albin Julius & Friends, Andrew King, Thomas Nöla & Friends, While Angels Watch and Fire + Ice. Collaborating with others is very important to me; I find it very rewarding. Making music is best enjoyed as a group activity, and working with others can lead you down avenues that you wouldn’t normally expect. For example, when I recorded my vocals for Sieben, Matt required that I sing in a register higher than that in which I normally sing. I was surprised with the results and it made think more about the vocal range I use on my own recordings. Could you tell us about your art that often adorns the covers of Naevus releases? It is striking in its minimal and abstract approach. What materials do you use? Did you study art? I studied art at school but didn’t take it any further, apart from studying aesthetics at university and continuing to paint sporadically. I wish I had more time for painting, but having a full-time job means that the time and light are never right, so these days I only paint for Naevus artwork. I paint in oils, so time is important in executing paintings correctly. Having said that, the cover painting for The Division of Labour was executed in about two hours, which is extraordinarily fast for me. Perhaps if I can replicate that pace in future I can get more painting done. You released a solo album as Retarder, what is the impetus behind Retarder and how does Retarder differ to Naevus? Retarder was conceived in 1999. I intended to use that name to explore ideas that didn’t really fit in with Naevus at the time; there is a somewhat ‘da-da’-ist approach, incorporating use of repetition and number-based composing. I confess that I diluted the original intention of the project on the first Retarder album, Enquiries; most of the tracks are derived very directly from the original Retarder concept but there are a couple of tracks on there that are really more Naevus songs than Retarder songs and would probably be more at home on The Division of Labour than onEnquiries. For future Retarder releases, there will be a kind of ‘re-set’. Mostly instrumental pieces, automatic or self-composing compositions, pseudo-serialism, that kind of thing. There will be a new Retarder album released by Tourette Records in the future, and I’ve recently completed a one-off Retarder track for a compilation. And then there’s Lark Blames your experimental project with Marc Blackie of Sleeping Pictures. How did that come about and is it still ongoing? Lark Blames is still ongoing, even though it has been on something of a hiatus recently. Marc and I first met at a Sleeping Pictures gig in London many years ago and have remained friends since. So far there have been two Lark Blames albums (Chimney in 2006 and The Reins of Life in 2010) and I hope there will be another in the future. We often meet up and talk about working on some new recordings but we both have commitments to other activities that limit the time we have available for Lark Blames. And I’ve read of another called Man Eat Man Eat Man, what’s that about? Man Eat Man Eat Man was a project consisting of Hunter Barr, Ben McLees and myself. After working on Relatively Close to the Sea, I wanted to work as part of a band project that was more raw and spontaneous, and Ben and Hunter, who are both very accomplished musicians, were up for it. At the particular point in time at which the project started, neither of them was a member of Naevus, so it was a good way for me to continue doing music with them, which I’d enjoyed very much previously. We had only two recording sessions, in late 2008 and early 2009, followed by some overdubs and mixing, and a Man Eat Man Eat Man album is basically ready for release, apart from some final mixing on three tracks. Man Eat Man Eat Man was democratic; all of the songs were conceived collaboratively, and as a result the sound of the band is more hard-edged than most other music I’ve been involved in. If you can imagine a mixture of KnifeLadder, This is Radio Silence and Naevus, that’s not too far away from what the band sounds like. I hope the Man Eat Man Eat Man album can be finished in the near future, as I’m very pleased indeed with those recordings. You’re obviously prolific, what inspires you to create? I suppose that I am quite prolific, but it never really feels that way. I always have the feeling that I should be making more but that I never have the time. I have day job that takes up most of my days, so time to write and record always seems to be scarce and I try to make the most of it when it comes along. So I think what inspires me to create is primarily fear – fear of not being creative. If a week goes by where I haven’t done something creative, I feel terrible. I need to create in order to feel that I’m alive. What’s next for Naevus and yourself? Currently, I’m writing some lyrics for the second album by the Finnish neo-folk band Harmony Garden, and I’m putting together a 3-CD collection of all of the Naevus singles, B-sides and compilation tracks that are not available on the albums. This will be quite a big release, probably three CDs, and will be a tidying-up of history before working on the next album. And where exactly was it, where you lived relatively close to the sea? Pembrokeshire, south-west Wales, although living in London, as I do now, I’m still relatively close to the sea. And I suppose the same is true of anywhere in Britain – we are an island.